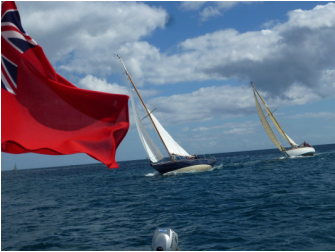 The Fowey Classics event is only possible through the very generous sponsorship of both local businesses and larger national companies who support and promote sailing events around the country. We are also indebted to Fowey Harbour Commissioners and Captain Paul Thomas, the Harbour Master and Jonathan Pritchard ,deputy harbour master, for facilitating the event. 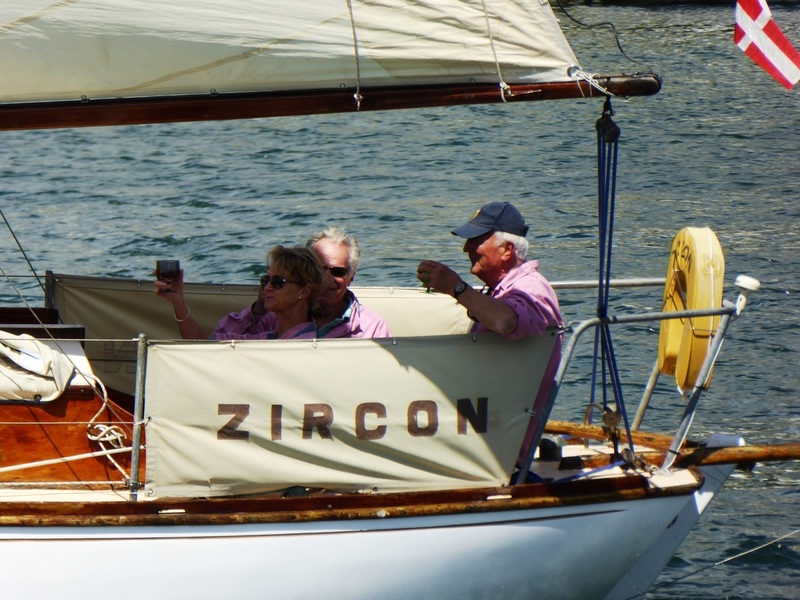 Similarly, The Fowey Gallants Sailing Club and Royal Fowey Yacht Club have once again provided tremendous support for events and races through use of their premises and equipment. The Crew on "Guide" stood bye to welcome boats on arrival as did the old stalwart Gerry at the registration desk, there was Mike and Nick in the rescue boat and the good ship "Mikinda" as committee boat manned by Karen as Race officer, Scott Gilchrist, Penny Jones and Louis Saget (the Silver Fox) assisted by Linda Sutherland. Our thanks to you all. A list of sponsors appears on the website . Thanks to all of you. Special mention to Stephens Scown for sponsoring the welcome event at the RFYC. The Fowey Gallants provided the Friday entertainment also C.Toms and sons for sponsoring the Farewell drinks. Phillips Frith Accountants in St. Austell kept up a tradition of helping keep the classics going . To Richard Kittow for providing the buffet at the Wednesday evening talk and of course Gary Mitchell giving his talk "A Boatbuilder's Story". All the local businesses who supported our efforts to welcome participants again a big thank you. Finally we haven't forgotten Dave Stanlake who's behind the scene help and the money man often goes unnoticed but a big thanks. A special thanks for all those who took part, bringing your classic and lovely craft and making the event so enjoyable. 'To have a First Class Fishing Boat, you have to have a First Class Boat Builder.' Percy Mitchell of Portmellon (born 1901) was that man. He was described by Dr Claud Worth, an eminent yacht designer, as "an artist in wood", and by Commander W B Luard as "one of the finest traditional boat builders in the world". He is described as a deeply religious man, who never railed against setbacks, but ruggedly persevered, believing that character is shaped and moulded by trials and difficulties. Almost entirely self-taught, his first commission was the Ibis, a Cornish Fishing Lugger, built on traditional fishing hull lines. At 42' in length, 13' beam, and 6' draft (7' with her working gear onboard) she was one of the biggest Luggers working from Mevagissey for many years, and her catch numbers were legendary. The Ibis is the holder of two fishing records - the largest catch of pilchard ever landed by a Cornish Drift Netter (2346 Stone) & the largest catch of turbot, long-line caught, from the Ray Pitts (English Channel) in July 1952 (896 Stone). In his autobiography, 'A Boatbuilder's Story' Percy Mitchell's account of the Ibis being built and launched is remarkable. His simple yet moving story is of a struggle against odds to ultimate success and fame. Illustrated with a wealth of photographs and many line drawings.